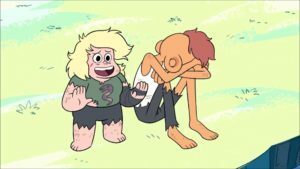 Andy Potter, Sam Quattro, and Alex Bonilla discuss the on-and-off relationship between Lars and Sadie in Steven Universe and the possible futures of it. Larsadie bruh. That’s the obvious ship name.